Seniors have long been targets for financial scams. Scammers have honed tactics in reaching out to this vulnerable population. But, preventing fraud toward seniors can be as a simple as understanding the vulnerabilities scammers are looking for. 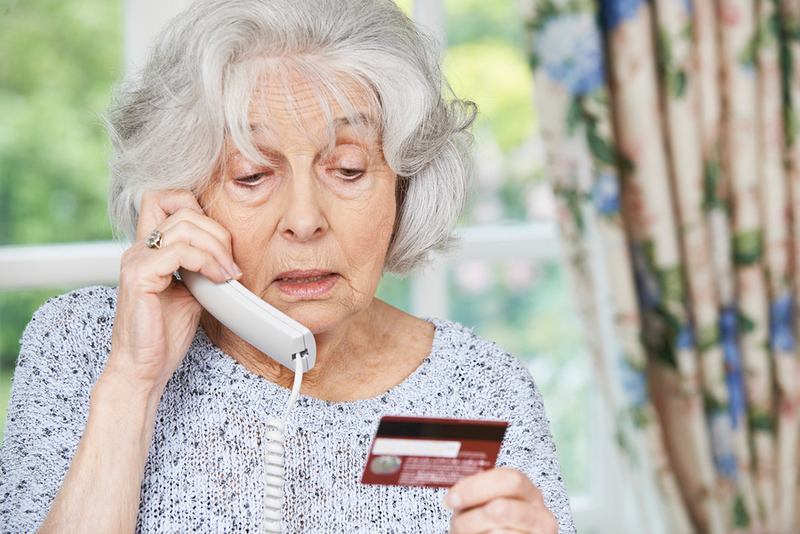 There are many tips for seniors to avoid scams when you understand the reasoning behind the vulnerabilities. Seniors are often more trusting and willing to talk over the phone. Therefore, this provides ample opportunity for scammers to pull them in and leave no trace. Seniors are also potentially more prone to forgetting the details over the phone. Consequently, this leaves it practically impossible to trail back to any scammer. If an offer sounds too good to be true, it probably is. If the offer is over the phone politely decline. You are always free to hang up if you are feeling pressured into something. Steer clear of any and all e-mails that come randomly offering you a chance at some sort of prize. This also includes any “subscription” offers. Talk to someone else about it. Sometimes, we don’t always see the ways in which people may be trying to trick us. It can be as simple as talking to someone else who mentions something doesn’t seem right. If you are reading this as a caregiver or a family member who wants to protect your loved one, know there are steps you can take. Having a simple talk with your loved one about not giving out any information over the phone or e-mail can be the biggest step. Preventing any type of senior scam can be aided by the introduction of a family member or caregiver that can help monitor what it going on in a senior’s home. Many seniors have trouble saying no to offers at the door or even over the phone. It can be beneficial to simply have someone there. If you don’t have the time or ability to do so, considering the addition of a caregiver may be a great option. Caregivers at Homecare Powered by AUAF can provide the type of support needed to help protect your loved one. Therefore, if you want to learn more take a look at Homecare Powered by AUAF. If you have any questions don’t hesitate to call 877.721.6710. The United States Senate Special Committee on Aging has resources available to know exactly where to file a complaint or report. For example, if your loved one has been a victim of fraud, you would file a complaint with the Better Business Bureau. If the financial abuse has to do with medicare fraud, then you would file a complaint with the Department of Health and Human Services. Find out more about your resources through the United States Senate Special Committee on Aging’s resource page.